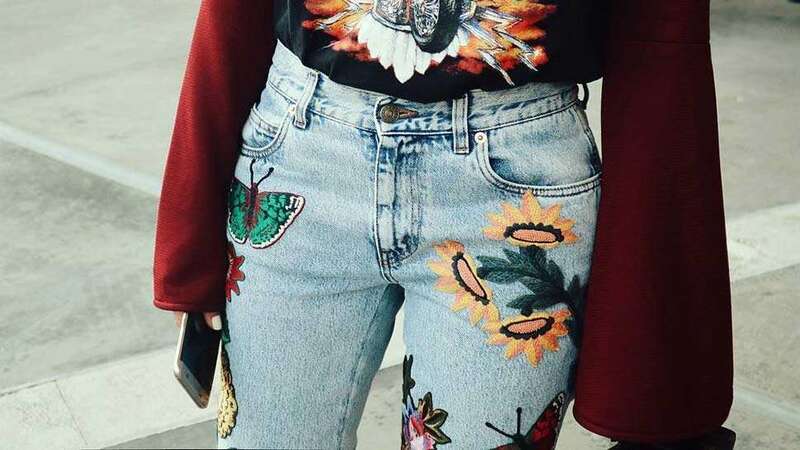 Summer OOTD inspo, coming your way! Marques ' Almeida, Chloé, Balenciaga, Dries Van Noten, and Erdem, to name a few. The upgrade? All the freshest blooms are maximalist and in-your-face. After all, summer is just the right time to make a statement! Flowers don't always have to be soft and sweet, girls. Irene's mint Miu Miu coat is a saccaharine dose of '70s vibes. Throw in a towering pair of platforms for a literal extra boost. Groovy! Ever consider donning a beret? 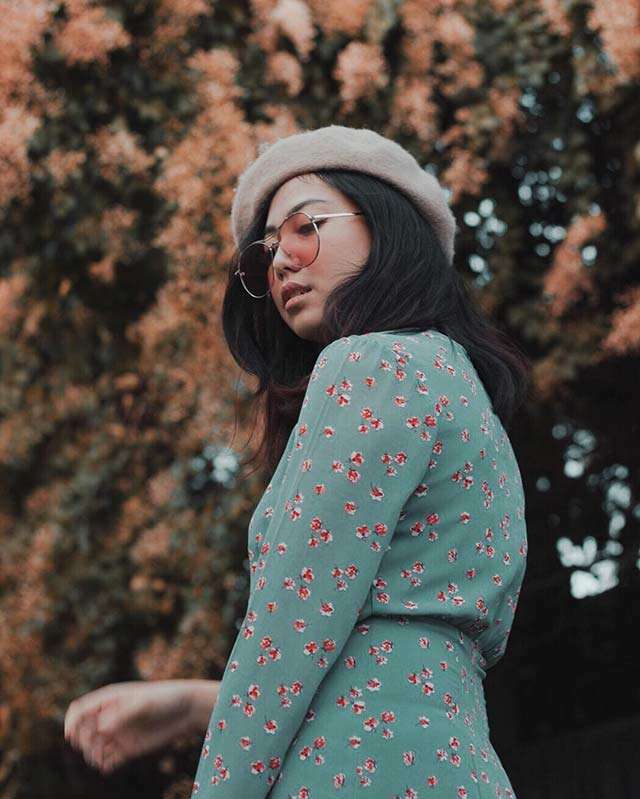 Jeline's doing a fantastic job at convincing us that it's juuust the right touch to make any look Wes Anderson-worthy. Florals belong on your swimmies, too! This blouse is a surprisingly pleasant mix of two very different aesthetics: aviator and Victoriana. Bomber jacket cuffs meet dainty puff sleeves and ruffled high neck? All our yeses. We've called it before: fishnets are highkey the season's choice seduction tactic. Summer's a-sizzlin', so keep fabrics light and sheer. 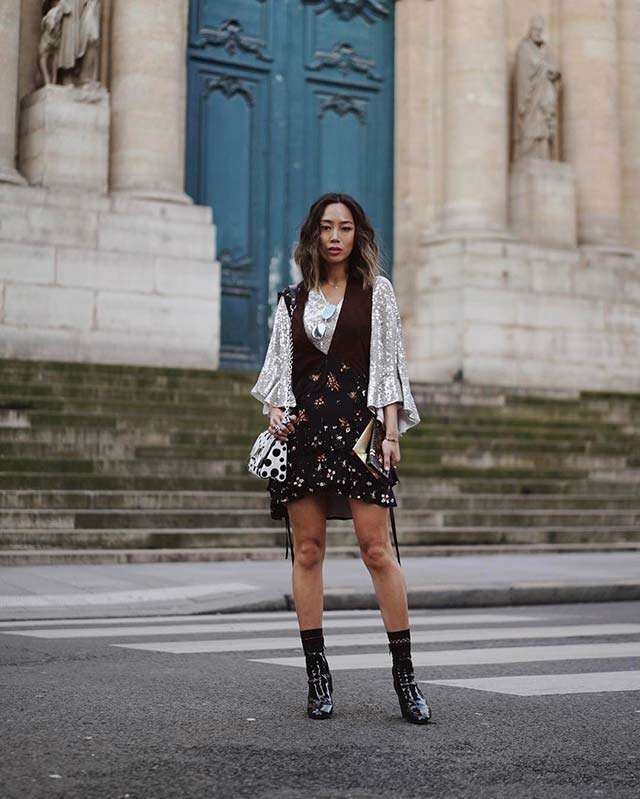 Aimee, fearless as ever, styles her floral pinafore frock with sequins, polka dots, and patent leather. Slay. 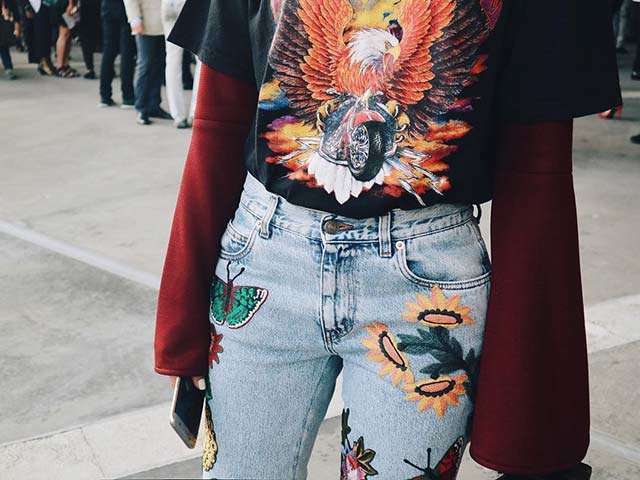 We meant it when we mentioned the word maximalist: Vanessa takes florals a stomp further by wearing appliqued blooms. You don't have to stop at mere print! 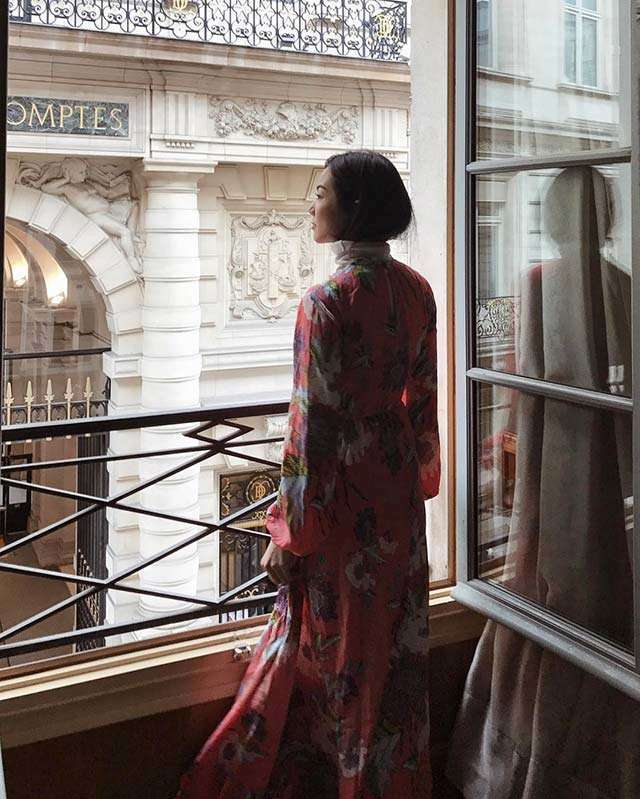 Yoyo's ethereal Diane von Furstenburg dress is just the thing to stroll around Paris in. Dreamy!